I am a big fan of survival island seeds. There are only so many basic islands before new seeds stop being interesting. This is a survival island seed that is not so basic. This seed starts you out on a series of 2 small islands within a more traditional biome. 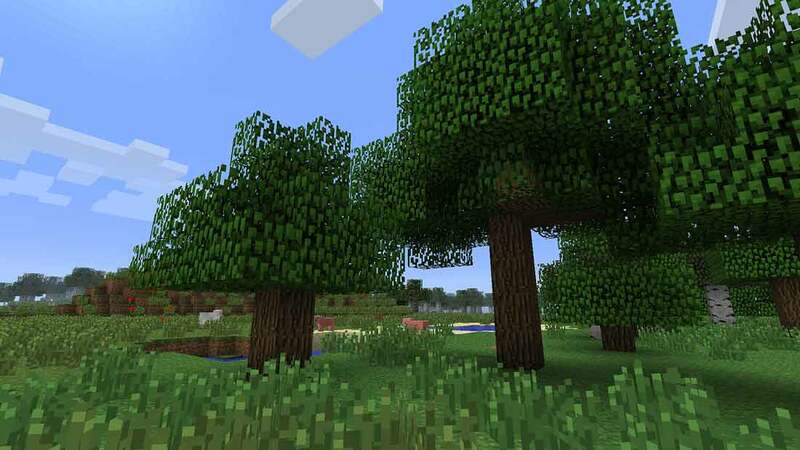 You have the usual things that you would expect from a survival island seed in Minecraft. The main difference here is the addition of a large mooshroom island close by. There isn't anything out of the ordinary here, but mooshroom islands aren't exactly normal in the first place.